my life on the road | loveliness. 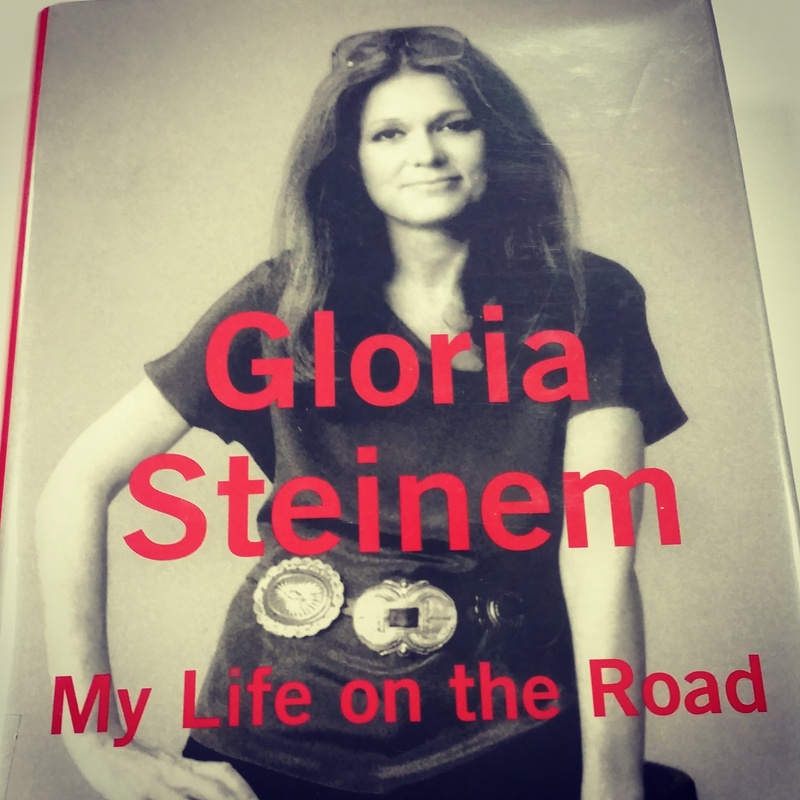 I just finished reading My Life on the Road by Gloria Steinem. It’s a collection of stories and anecdotes about her time traveling around the USA as an organizer, fundraising and public speaking to raise awareness for feminism and different political causes and campaigns. It was really interesting, there are stories about JFK, Bobby Kennedy and MLK, but some of my favourite parts of the book were just little tidbits from random people she had met during her journeys. The point of the book is to encourage people to travel, to meet each other in person, and to get involved with their communities. Basically, to live in the now, as she says The Road forces you to do. I have been hearing and reading about Gloria Steinem all my life, but I’d never read one of her books before. After this one, I’m excited to go back and read the others. “Now I know that both the palaces and the movies were fantasies created by Hollywood in the Depression, the only adventures most people could afford. I think of them again whenever I see subway riders lost in paperback mysteries, the kind that Stephen King’s waitress mother once called her “cheap sweet vacations” and so he writes them for her still. I think of them when I see children cramming all five senses into virtual images online, or when I pass a house topped by a satellite dish almost as big as it is, as if the most important thing were the ability to escape. “This book is dedicated to Dr. John Sharpe of London, who in 1957, a decade before physicians in England could legally perform a abortion for any reason other than the health of the woman, took the considerable risk of referring for an abortion a twenty-two-year old American on her way to India. Dear Dr. Sharpe, I believe you, who knew the law was unjust, would not mind if I saw this so long after your death.